I had a bit of a health scare which was completely remedied by a couple of hours at a hospital on Monday. I’m absolutely fine now…but these little hiccups in life really do make you put things into perspective, don’t they? The positive side of it is that, touch wood, my camera seems to be still working fine and the new lens I’ve ordered to replace it is a bit more whizzy. So it should help me take better photos in poor light conditions. Wrote blog posts and dealt with emails. 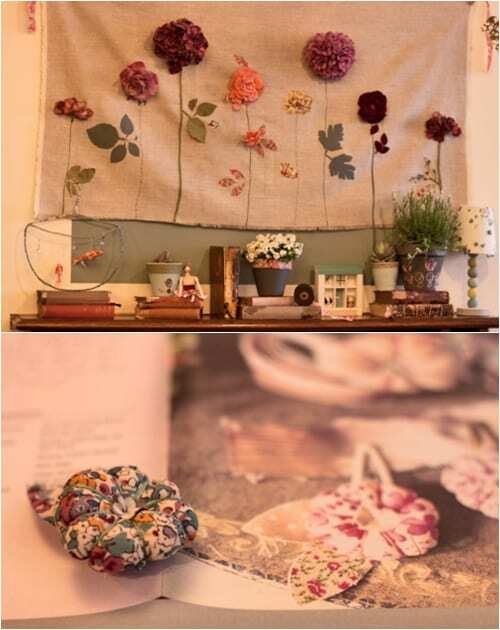 Started drafting a new guest blog post for the Laura Ashley blog. Signed off copy for my Wedding Flowers magazine article. 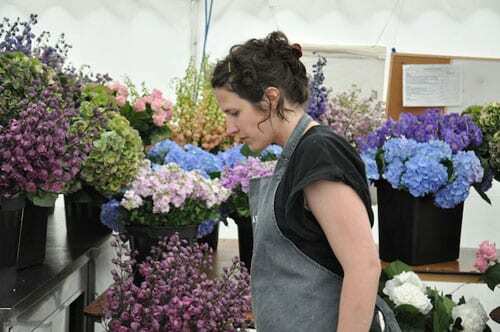 Had a wonderful day attending a One Day Wedding Flowers course at the Judith Blacklock Flower School in London. I’ll be blogging about it soon. Started drafting my May newsletter which will be going out next week. 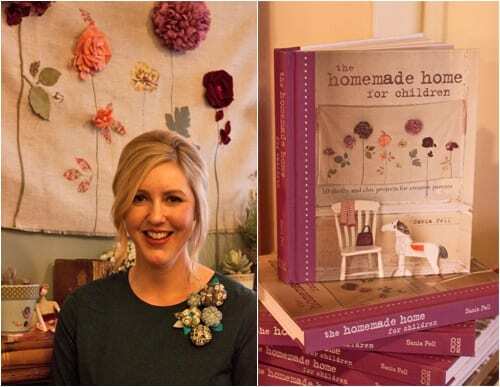 In the afternoon, I went to Sania Pell‘s book launch at Liberty for her new book ‘The Homemade Home for Children‘. You may have seen the interview which I featured with Sania earlier this month. It was really lovely to see her and join in making my very own Liberty print floral brooch! And it was also great to meet Sonia from Cico Books and meet childrenswear designer, Chi. 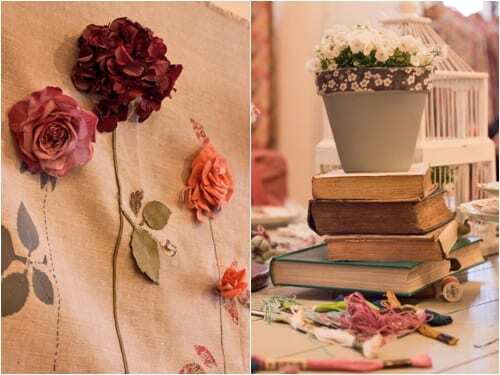 This week’s most popular blog post was my Interview with Lotte Lawson of Lotte & Bloom. 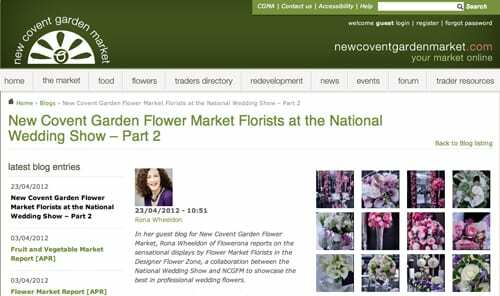 My second guest article for the New Covent Garden Flower Market was published this week, featuring my visit to the National Wedding Show. 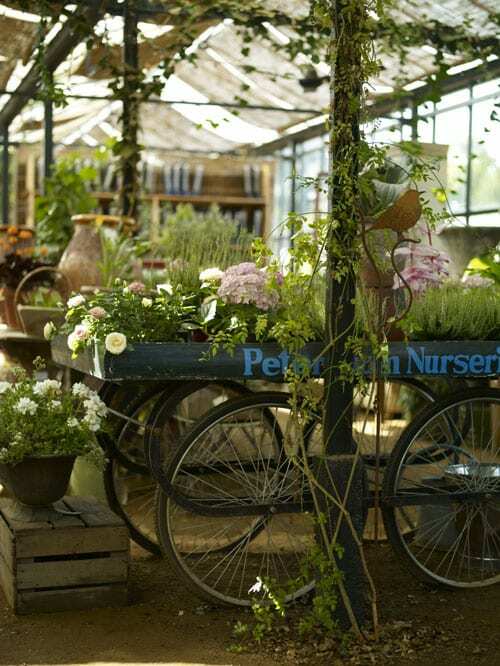 On the Heart Home blog, I featured Petersham Nurseries proudly present ‘The Garden Shop’. Due to the weather on Wednesday, their launch event for The Garden Shop was postponed. They’ve now rescheduled it for Wednesday 9th May from 6.30-8.30pm and everyone is welcome to attend. So, I hope you have a lovely weekend, whatever the weather…! P.S. 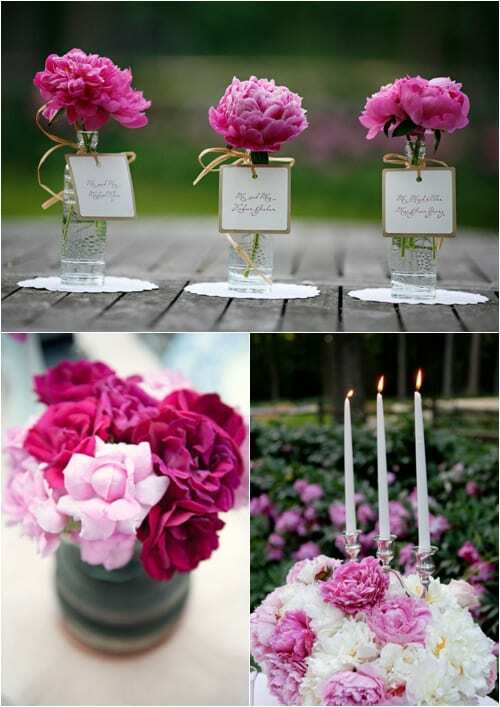 Aren’t the peonies at the start of the blog post just gorgeous? They’re coming into season now.